Ergonomics is the study of designing equipment and devices that fit the human body, its movements and its cognitive abilities. As more and more research comes out about the silent dangers of sitting, employers and employees are joining the growing trend of utilizing standing desks. At Denver Chiropractic, we treat back pain related to sitting and get asked on a daily basis if the standing desk is the solution to help avoid their back troubles. There is much more to this simple question as the answer is a bit more complicated, so let’s look at some facts related to sitting. American Journal of Epidemiology published a prospective study including over 53,000 men and almost 70,000 women that showed an increase in mortality with the length of time sitting, regardless of independent physical activity. This fact is mind blowing. You can’t Crossfit your way out of the dangers of being a desk jockey. Sit less and live longer should be the title of this study. Do not put phone between ear and hold with shoulder. Surprisingly, a study published in the journal Spine showed that intradiscal pressure may be less in an individual that is sitting upright compared to an upright standing posture. The study advises movement to help support the flow of fluid in and out of the disc. This study also looked at a variety of postures and its effects on disc pressures, which all showed increases with flexed postures, regardless of sitting or standing. There is no ideal sitting or standing posture, so one must continually change their postures to help migrate the strains of sitting or standing. The take away with this study is to keep moving! If you are asking if you should get a standing desk, the answer is yes but also a no. Standing desks can help offset the strains of sitting, but also come with its own problems. Standing engages the back muscles more than sitting and can add pressure to the spine, which is only negated by movement. 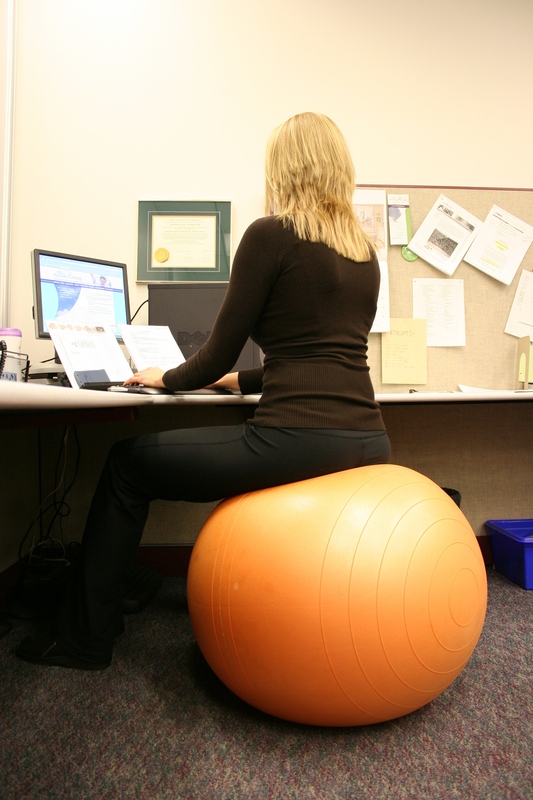 Sitting can create large forces on the spine as well, which is only negated by movement. A variety of work stations is ideal in the workplace. Reducing the chances of lessening your lifespan from heart disease and decreasing your chances of having back pain all must incorporate movement. 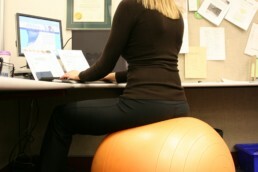 Avoiding sedentary postures, whether they are sitting or standing is the key. Dr. Trent Artichoker of Denver Chiropractic performs individual ergonomic consultations for your workplace. These consultations include an assessment of everything surrounding your workstation, from the positioning of your keyboard, mouse, monitor and phone, to your desk, chair, the way you sit and the environmental factors surrounding your workspace. Contact our office to schedule an individual consultation with Dr. Artichoker or a presentation to inform all of your employees about the importance of ergonomics today.